Click HERE to buy your tickets in advance of arriving! Join us as we celebrate our Fall harvest season with family fun for all ages! 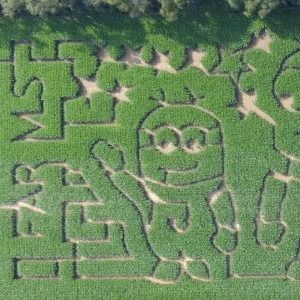 Get lost in a corn maze or visit to look for the perfect pumpkin. Take a hayride, pick apples or browse the Farm Market for fresh produce, baked goods and more. Our Farm Market, Apple Orchard, Pumpkin Patch and Corn Maze are open weekdays (see hours below). Enjoy the farm’s 30+ fall weekend activities and attractions! These activities and attractions are included with General Weekend Admission. Hayrides, 6+ acre Corn Maze, Singing Chicken Show, Farm Animals, Pumpkin Checkers, Rubber Duck Races, Kiddie Coral, Pedal Karts, Straw Jump, Horseshoes, John Deere Trike & Tractor Course, Barnyard Bouncers, Junior Pedal Karts, Straw Maze, Inflatable Moon Bounce, Inflatable Obstacle Course, Barnyard Mini Golf, The Ag Center, Peter Pumpkin, Pumpkin Bowling, Corn Hole, Barn Raising, Spookley Corn Maze, Barnyard Basketball, Photo Ops, Bee Barn, Jumbo Rocking Chair, Connect Four, Tug-O’ War, Sand Box, Pumpkin TicTacToe, Steer Roping, Sand Diggers, Rocking Horses, and Barnyard Baseball. Apples are available starting in mid-September. Our apple trees are dwarf trees that grow close to the ground, making picking easy for kids. 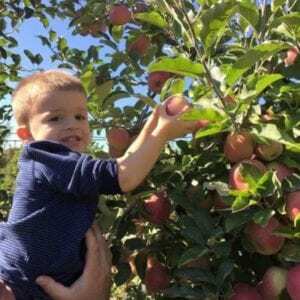 Jersey Fresh apples – yum!! 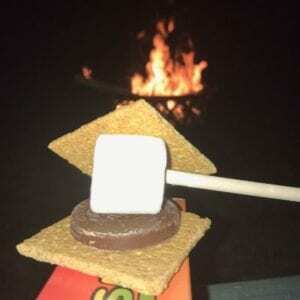 Campfires can be bundled with our Moonlight Maze, a hayride, and even Smores! Enjoy the cozy fire as individuals or schedule your own special night as a group. You’ll be lost, laughing, and loving it! Navigate the 6 acres on your own or cheat a little with our fun, interactive maze activities. Visit our moonlight maze too!